which is why collaboration isn’t easy. When it comes to collaboration in business, technology is not the problem. It’s people. Sure, keeping abreast of new opportunities in technology is challenging but we’ve been talking about collaboration for a few decades now. Why is that the bit that is proving to be so elusive? “Collaboration” – Easy to say. Hard to deliver. We are experiencing an incredible age of innovation and creativity that absolutely demands collaboration. The trouble is that when there is such an obvious truth like this it is always open to abuse. Employees nod to the principles of collaboration but resist changing the way they actually operate. Sales people jump on the bandwagon offering new services that exploit the theory but lack depth in getting people to truly connect. Managers carefully manage the sharing information to help them control the projects and the budgets they are responsible for. Of course, we all know collaboration is a worthy pursuit, but making it happen is tricky. It may even feel risky. So, talking about it feels good. Promising it seems reasonable. Let’s just not scrutinise the actual delivery of it! WPP don’t provide any clues. Recent commentary around Martin Sorrell and WPP’s struggle to deliver genuine integration of their myriad services despite having one owner for all businesses feels like a misuse of the word collaboration. This model was always about scale economies that may or may not be passed on to the client businesses they serve. It was never really going to get under the bonnet of what motivates people and gets them to work together in pressured, highly competitive fields. Popular opinion now is that the WPP model of integrating their services isn’t working, however, their stated objective to offer greater collaboration had a very receptive audience. It’s hard to find a company that isn’t talking agile or doing sprints or holding regular stand-ups. It’s no wonder. Business leaders need collaboration. 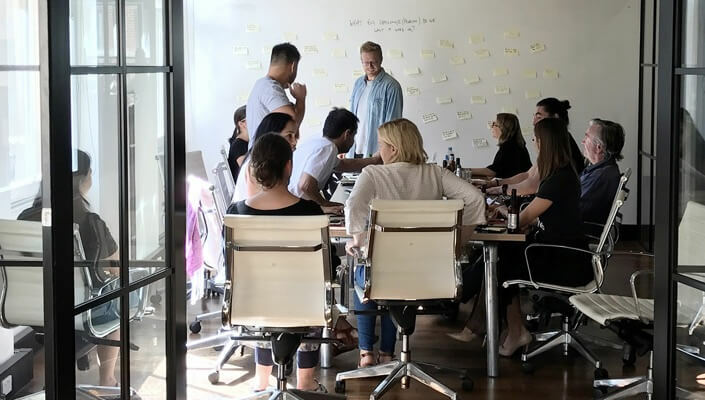 Given the pace of change that technology is making possible, it’s an essential element to ensuring the right knowledge and experience is in the room and working across borders to solve things fast. Teamwork and collective knowledge, after all, will help you get to the right decisions at speed and ensure you are competing vigorously. The problem is that as employees or team participants, these important behaviours are often mandated without consideration of the other human or organisational impediments to genuine integration of effort. It’s pushed on them. They are not drawn to it. Passive resistance becomes a pretty useful tool when collaborative practises are forced on you, but you still feel you need to protect your knowledge, budget or proprietary experience. Highlight real changes in creative collaboration. Stop acknowledging cost of entry work practices. Why do we still have industry awards that celebrate a business who manages to get several of its rostered agencies to work together in a friendly way? Of course, it’s nice to know that this happens sometimes but executing a nicely co-ordinated advertising campaign is hardly delivering huge leaps forward in quickly harnessing the capabilities of new technology. These types of awards do little to illuminate better ways of working. They are a throw-back to the unravelling of creative and media functions in the 90’s. Delivering business solutions at speed is about ensuring the IT people, the marketing people, the product people, pricing people and the external service providers all combine to deliver breakthroughs that will truly impact on the performance of the business. 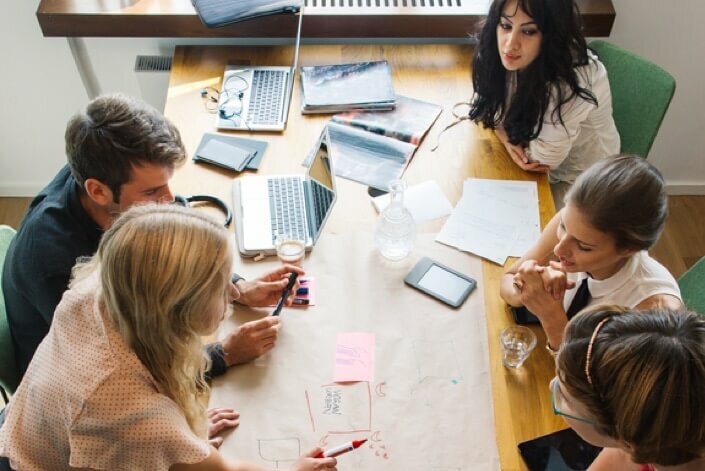 Perhaps this is a more ambitious definition of collaboration, but getting these skills to work together faster and more productively will surely lead to competitive advantage beyond the co-ordination of down-stream marketing campaigns. Let’s face it. People will be people. We have an abundance of new tools to disseminate information and ideas at speed. These alone will not open the door to creative business solutions. Before getting teams to commit both their head and their heart to a project we need to de-risk the experience and overcome some deeply held beliefs in how to survive and progress in a work environment. Hierarchies, organisational structure and the order they provide are pretty comfortable places to live but these things often are the barriers to real progress. Some considerations for tapping into what motivates us as people. As human beings we have some pretty fundamental needs that, if not met will mean we resist and avoid change. The need for autonomyA sense of personal control, flexibility and influence over what you are doing and what you are involved in. Sounds antithetical to collaboration but you won’t have real buy-in unless you cater for this. CompetenceWe all need to feel we are making a contribution and perhaps most importantly we are progressing in our own abilities. RelatednessFeeling part of a team is a simple manifestation of the fact that we are tribal by nature. We need to actively foster this, not with words or hollow corporate statements, but with fresh systems, rewards and cotemporary leadership. Visible progressWe are impatient and need to be reassured the collective effort is worthwhile. We need to see milestones and mentally register real steps forward. Not process or “intelligent” systems. Last year we created CoLABS based on a simple, human truth – people create, innovate, disrupt, surprise, challenge. Processes, systems, code, automation, AI don’t. What’s more, people feel genuinely inspired when they participate in creating disruptive, original ideas; especially when they can see how these ideas can be applied by quickly prototyping their ideas. We tested this theory in a series of CoLABS we ran in 2017 when we invited clients to share with us a big challenge or business problem they were grappling with. Putting a diverse group of thinkers (with varied business responsibilities) in a room for a 5-day sprint is not, in itself, a breakthrough. 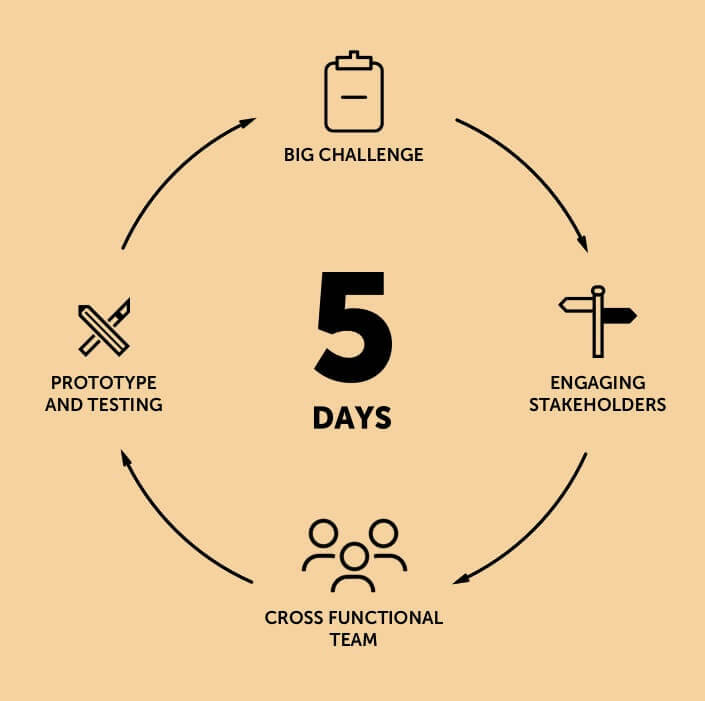 Ensuring they combined to generate ideas, work together to direct the creation of prototypes and enthusiastically challenged each other to pursue iterative changes through a testing phase was. They jointly owned the ideas and together found combined confidence in the solutions they created. See more on CoLABS and how they work here. We don’t see CoLABS as a stand-alone solution. Indeed, we are still evolving it. But the way in which we have seen people connect, energise and create new solutions in these sessions is really inspiring. We’re determined to put people ahead of process. It’s a more productive way of working and, of course, more fun. As we say, life’s short. Work with people you like!